This is another recipe that's been on my pinterest board for a while. Finally got around to making it the other day and it was so delicious that I will be making it again. Marinate chicken overnight in the herb and garlic marinade. Cook pasta al dente. Heat olive oil and add in garlic. Slowly add in the pesto. Pour in the chicken broth and simmer for a few minutes. Add tomato sauce and half-and-half. Let simmer for 5 minutes. Pour chicken into skillet and cook until no longer pink. Mix cooked pasta in with the tomato sauce mixture. 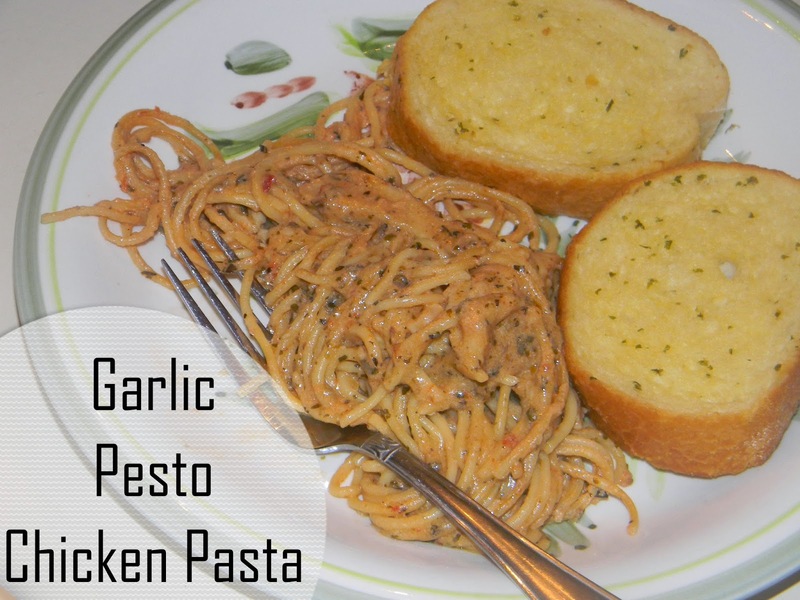 Mix chicken in with the pasta and serve.